5 outstanding Apps for Learning Spanish! Would you like to combine building your language skills and exploring Málaga? If yes, then continue reading. After building your Spanish skills day by day, you still have plenty of spare time. What can you do to fill the hours in Málaga? In this diverse city, you definitely won’t have a dull moment. Visit the Roman Theatre + Alcazaba + Gibralfaro. The Roman Theatre (El Teatro Romano), the Alcazaba fortress and the Gibralfaro castle are undoubtedly a must-see. 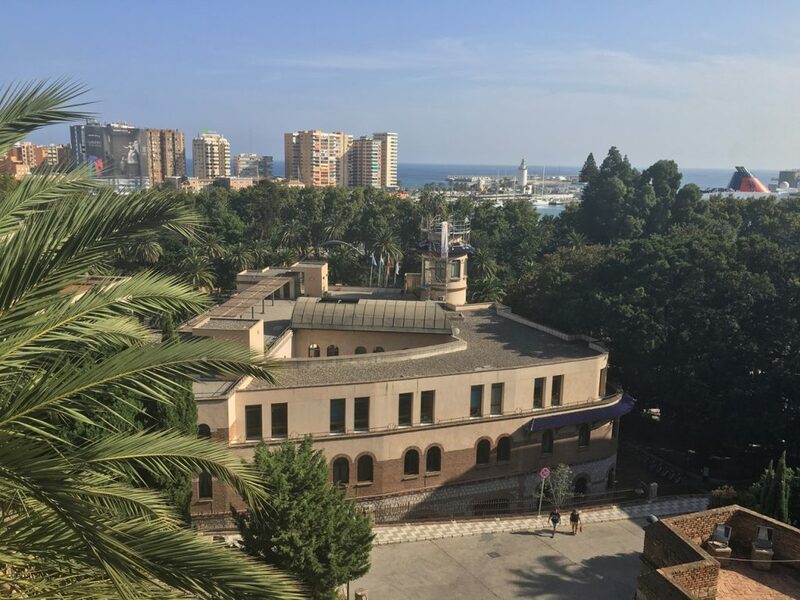 The Roman Theatre is situated in the cultural heart of Málaga city, at the foot of the popular Alcazaba fortress just 3 minutes walking distance from our school. The Roman Theatre was constructed under emperor Augustus and thus was used until the third century AD. Before the Byzantine siege it was used as a cemetary and after this time the amphitheatre was used as a quarry by the Moorish settlers to build the Alcazaba fortress. Today you can see a few Roman columns and capitals in the fortress. In the process of time, it became buried under dirt and rubble, and remained hidden for almost five centuries. Only in 1951 the theatre was rediscovered due to construction work of “Casa de la Cultura” meaning the House of Culture. However, after the Casa de la Cultura was demolished a large scale excavation and restoration project began. Now the amphitheatre is open the entire year for visitors. You can learn more about the history of the ruins and its ensuing excavation at the visitors centre (Centro de Interpretación) which is situated at the site. Visit the Roman Theatre for free! 1st January, 1st May, 24th December, 25th December and 31st December closed due to public holidays. 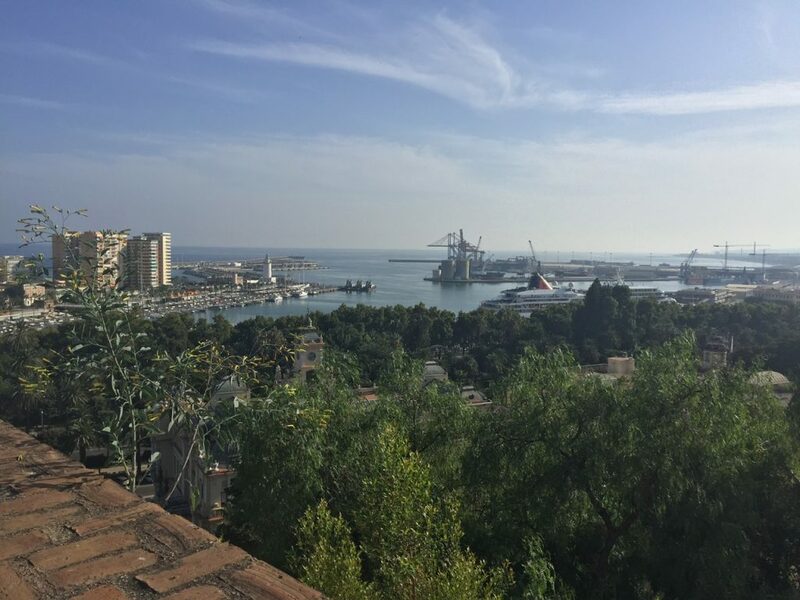 After visiting the Teatro Romano you should head to the the Alcazaba fortress. The word Alcazaba derives from the the Arabic language “al-quasbah” which means “fortress”. 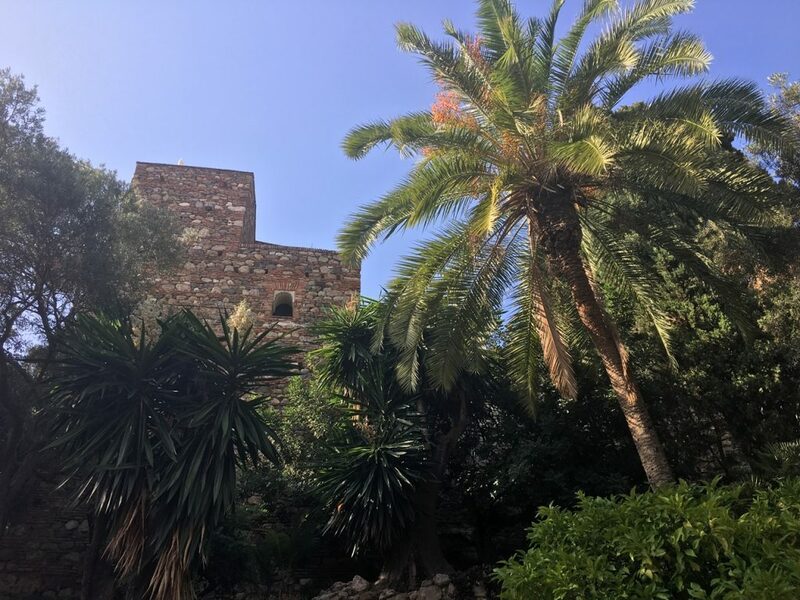 In brief, the Alcazaba is a castle with stunning gardens, palaces and plethora of pools, located on a hill with spectacular views of the city and bay at daylight as well as at twilight. The building is situated at the foot of the Gibralfaro hill and was constructed during the Muslim period under Badis ben Habús. Materials like pillars and capitals were taken from the Teatro Romano to build the Alcazaba. 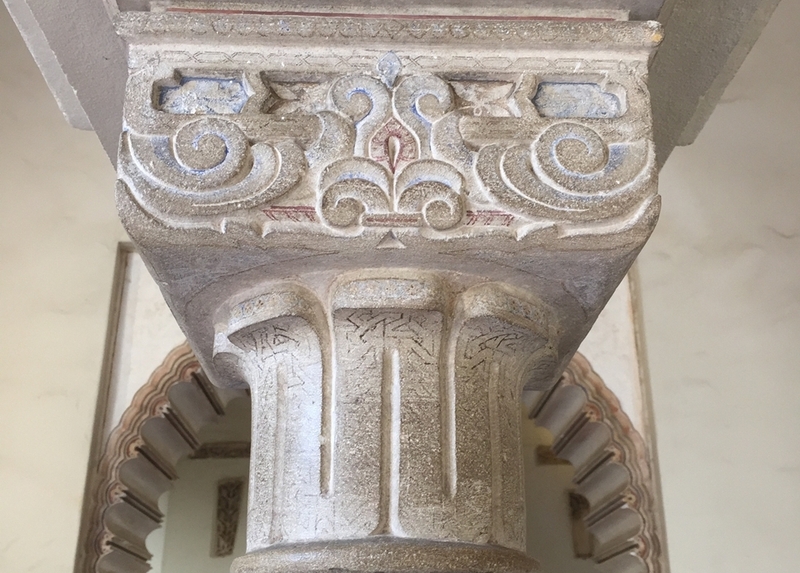 That’s why Roman elements like pillars and capitals are seen at the fortress. 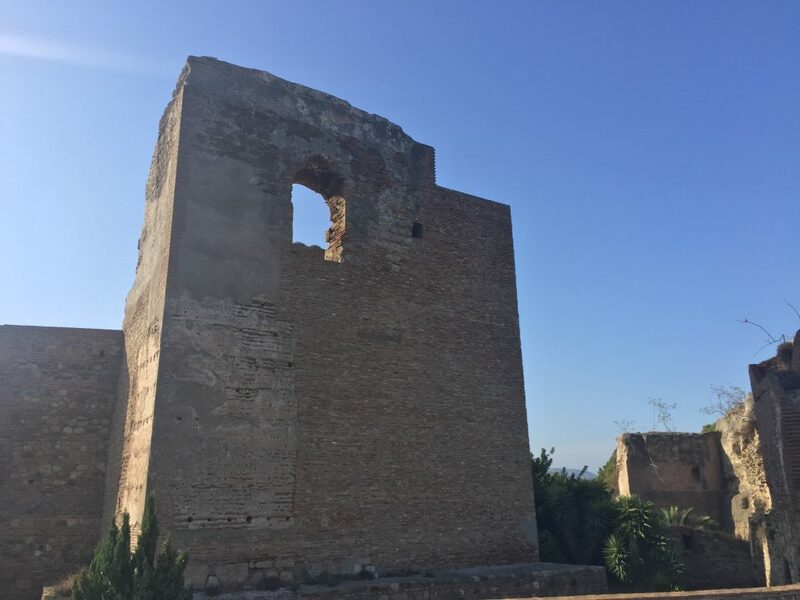 Due to the conquest of Málaga by the Nasrid kingdom in 1279, the Alcazaba was renovated almost completely and that gave the building a significantly Nasrid appearance. Exhibition pieces of clay and ceramic deriving from the era of the Nasrids can be seen at the archaeological museum in the Alcazaba. In 1487, Málaga was conquered by Catholic monarchs and therefore came under their governance. The Interpretation Centre offers a lot of information for those who would like to learn more about the site’s history. Sunday is free from 14:00 When not to go there: 24th December, 25th December, 31st December and 1st January closed due to public holidays. Your final sightseeing stop should be the Gibralfaro fortress. At the top of the Gibralfaro hill stands the Castle of Gibralfaro which is one of the most visited monuments in Málaga. 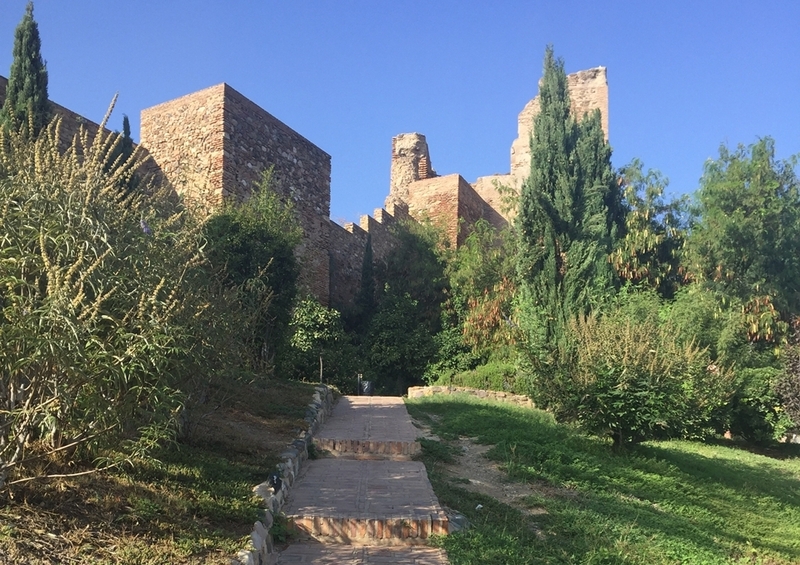 The walled path called “La Coracha” connects both fortresses, the Alcazaba and the Gibralfaro. 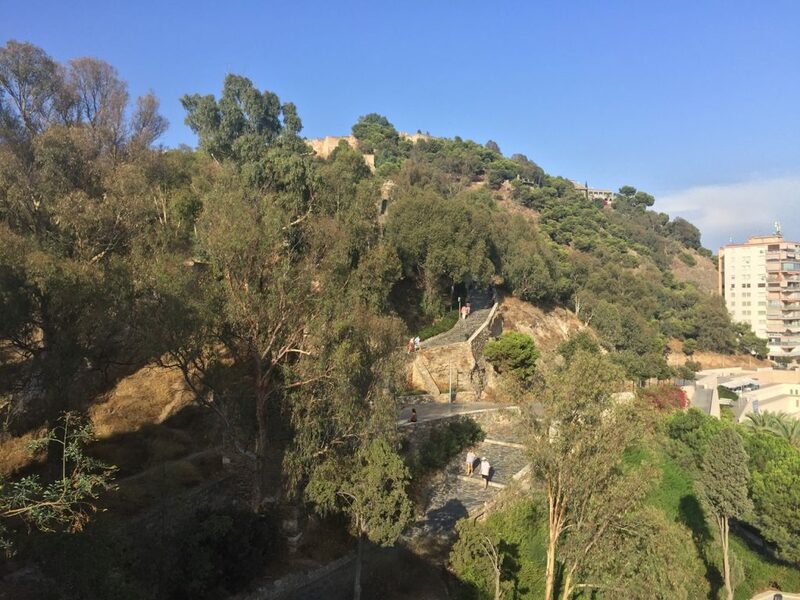 While strolling along the “La Coracha” which is surrounded by lushing vegetation and dozen of orange trees you definitely become enchanted by the impressive views of the city. Some of the most visible remains of the castle are the solid ramparts rising above the pines. The name of the castle derives from Arabic and Greek meaning “The mountain of Light”. Gibralfaro has been the site of fortifications since the Phonetician foundation of Málaga. But Nasrid King Yousuf I made it into a castle in the 14th century in order to protect the Gibralfaro from foreigners and to serve as a shelter for troops. In 1487, due to famine, Malagueños were forced to surrender because Catholic monarchs King Ferdinand and Queen Isabella withstood a three-month siege of the city. The castle was used as a military base until 1925. There’s also a small museum in the former gunpowder arsenal of the castle that displays the castle’s history over the centuries. How to get there: By foot take the walled path “La Coracha” or by bus take the No. 35. 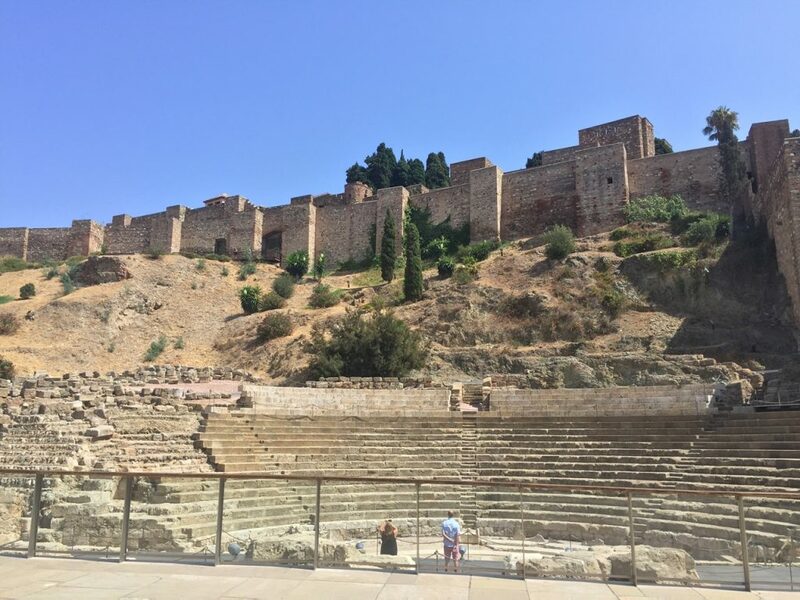 You should plan with at least 3 hours for your “El Teatro Romano – Alcazaba – Gibralfaro” tour.